Votacall is a leading provider of Cloud-based voice solutions and business communication systems with an expertise in VoIP, Unified Communications (UC) and Call Center design and deployment. Votacall is committed to delivering the latest best in class technologies to our end users through constant market and product research. Our approach allows our customer base to stay ahead of the technological curve at the lowest Total Cost of Ownership (TCO) in the industry. 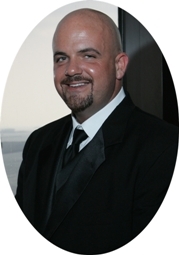 Mr. Lennon is an entrepreneur with 20 years of experience owning and operating small and medium sized businesses. In the early 90’s he was the founder and CEO of Competitive Edge Nutrition a 6 location retail nutrition and personal training business. At the same time he founded a retail wireless business partnering with Nextel and AT&T wireless. In the late 90’s he joined Lucent Technologies GEM division as a sales consultant providing solutions to medium and large enterprise customers. After identifying an unmet need in the market he left Lucent Technology in 2000 and founded All Business Communications to service the communications needs of small and medium sized businesses. In 2005 he founded Votacall for the research, development and deployment of a cloud based voice over IP solutions for small to large enterprise customers. Mr. Lennon holds BS in Business Management from Boston University and an MBA from F.W. Olin Graduate School of Business at Babson College, along with many sales and technical certifications. CEOCFO: Mr. Lennon, what is Votacall? Mr. Lennon: We are a managed unified communications service provider. We design, implement and support both Cloud based hosted voice over IP and Avaya on premise voice over IP solutions. Mr. Lennon: Small to large enterprise clients across the country. We have a very large small and mid-sized base of clients through the merger with All Business Communications. Votacall hosted VoIP clients range from small single location clients to large enterprise and nonprofit’s, our largest client being close to five hundred locations and ten thousand end users. CEOCFO: That is a wide range. Why Votacall? Why are people choosing you in all ranges? Mr. Lennon: The Voice over IP market is very competitive at this point. Clients come to us because we have fourteen years’ experience installing, implementing and supporting voice systems and data networks. You have large ILECs and CLECs who have started to sell voice over IP four or five years ago. Typically, they drop their circuit off at the d-mark in the building. Then a company like us will take it from there and help the client set up their phone system and any applications that go along with that. We have been doing this for a long time. We have a different process. We have a lot more experience implementing systems behind that d-mark than most companies do. Clients come to us for support. We manage the entire solution for them so they do not have to use in house people to manage their telephony and their data network. CEOCFO: What are some of the common areas that you are able to look at and understand and implement more easily? What might be something of a challenge a little outside of the box, that because of your experience you are able to recognize easily as well? Mr. Lennon: Our entire team has an average of ten to twenty years’ experience implementing these types of systems. Therefore, advanced types of functionality and multi-location implementations is where we shine. As far outside of the box solutions that we can bring to the table, those are things like call center, IVR and application integration. We have excellent call center resources and have implemented some very complex applications. We can help clients implement call flows, prompts and queues. We have a speech enabled IVR solution that can be used as an auto attendant or to front end a call center. The IVR eliminates the need for the client to go into a dial by name directory or press a button they can speak the name of a specific person, department or team within that organization. It’s intuitive and enhances our clients, customer experience. We have a lot experience with these types of applications, implementing and then supporting them. One of the biggest differentiators is our culture and our commitment to client experience from a service provider perspective. You are not going to call into our organization or open a ticket with us and get passed around between twenty different people. We are going to get you to the right person and they are going to solve the problem for you. CEOCFO: Would you tell us about All Business Communications, where that fits in and the recent merger? Mr. Lennon: All Business Communications, Inc., was founded in late 2000. We are a VAR and System Integrator, implementing technologies like Avaya Communications, Cisco and Adtran. We also provide ongoing maintenance and support services nationwide. I along with our management team, in 2005, created a separate entity to service the hosted Voice over IP market. We saw the market was starting to move to hosted Voice over IP, so we started to develop our own solution on top of some of the industry best of breed technologies. We ran the organizations separately, initially. Then we merged the organizations together in January. After we aligned systems and processes to make sure there was little impact on our customer base we made our public announcement in May 2014. All Business Communications is where we grew our team and get much of our experience. We have managed and deployed upward of ten thousand Avaya systems nationwide. That experience is invaluable when it comes to the deployment of Voice over IP. Our team and knowledge is our differentiator. When we go out to the market and sell against competitors we have the experience to work with a client, identify their needs and solve problems. It’s an opportunity for us to offer our expertise. We see things clients can do to be more efficient and communicate with their clients more effectively. The merger with All Business Communications was the unifying of our two organizations. Prior to the merger we had our All Business Communications sales, support and implementation and our Votacall sales, support and implementation teams. What we really wanted to do is unify our company internally with Votacall and unify our clients under one brand. We want every client to have a consistent experience across the board, weather they have our hosted VoIP solution or an Avaya on premise system, the end goal is customer experience. The reason that we waited to make the public announcement was the unification of our cultures, teams and systems. We have made amazing progress unifying our teams and changing our culture within the organization that will benefit our end client. CEOCFO: Would you give us an example of what one of those changes might be or what you are looking to accomplish and have accomplished with the change? Mr. Lennon: We have a value system, internally, that our entire organization is fueled by. We call it Votacall One Team. Ultimately, we view everyone in this organization as client support, whether they are sales from our C.O.R.E. group, accounting, project management or technical support. Everyone’s job here is to provide the client with the best possible experience that they can. Therefore, we have created what we like to call innovative teams where we took some aspects of our client service and our implementation teams and we created what we call our C.O.R.E. group. C.O.R.E. stands for “Center of Operational Resource Experts”. What this group does is they own the relationship with the client and if the client has any type of issue they can go directly to their C.O.R.E. group team member. If that specific person does not have the answer for the client they know the person that does, they will get the answer or get the issue resolved in a timely manner. That way the client is not calling four or five people within our organization; calling the sales person, calling the technical support person or maybe the technician that installs the system for them. It has really eliminated the pain point of being transferred around the company when you call in for either client services or technical support. CEOCFO: Do you see that as a selling point when you are speaking with prospective clients; the fact that you are more available and they are not dealing with a giant? Mr. Lennon: We do. We view support as our best selling product. At the end of the day, we want to be the Zappos of cloud communications. We want that client to have an experience here that they cannot get anywhere else in the market. We are competing with much larger, more capitalized organizations, whether it be public companies or private companies and the only way to differentiate our self, when they are looking at voice over IP, is with great products, expertise, applications, and support. However, we see innovation and support as the key to our business success moving forward. CEOCFO: You mentioned that you speak with clients, listen to what they need and help them design. What is the key to understanding what a client really needs, not just what they think or what they say they need, but what really is what they want to accomplish? Mr. Lennon: Exactly. The key is experience. We have seen thousands of clients across the country in many different verticals and we have worked with these clients on implementations, on ongoing support and implementing changes as they grow. We have done this many times. The majority of our project managers, C.O.R.E. team members, technicians and management have the experience installing thousands of systems. Therefore, when we walk into any type of business, whether it be a law firm or a professional services firm, not only do we go through a process of discovery where we sit down with a client and talk to them about their needs, their wants and their “like to haves”; we also offer our expertise as to some additional options they may not have thought about. Things we may have noticed or discovered in the meeting. That is because many times you will have one person in an organization that thinks the organization should be set up the same way as their current system, “If my old phone system worked fine I am going to set everything up the same way.” Then you will have other people within the organization that have a different mindset on it. Therefore, many times you have to almost be a mediator in between and find a happy medium and implement the best solution for the client. However, the biggest key to the implementation piece is our experience implementing and supporting over ten thousand clients in the last fourteen years. CEOCFO: What are some of the challenges in working with people across the country? I am guessing people physically have to go into someone’s office when they are setting up a system, or is that not so? Mr. Lennon: Yes. We do implement every system on site. That is where there was value with All Business Communications, because All Business Communications was implementing Avaya for the past fourteen years. We have a network, not only of our own technicians, but we have a network of about four hundred and fifty contractor partners that we have been working with, anywhere between ten and twelve years, implementing and supporting Avaya and VoIP systems across the country. We have built a network of what we like to call trusted contractors and partners, because we vet them and we work with them exclusively in their territories. Many of the contractors that we work with, we have them busy every day. Therefore, they trust us, we trust them, they know our value system, they know how to handle our clients and we believe they do a great job at it. We also have our internal project management teams and support teams that are here to support either our employee technicians or our subcontracted technicians and of course our clients. CEOCFO: What are some of the services you offer that people are not taking enough advantage; where do you think many clients are missing the boat? Mr. Lennon: Applications like call center and speech enabled IVR can save time and money, getting people to the right person or team quickly. We deploy a lot of call centers. We feel many companies we work with would benefit from using some type of a call center application for their client, product or technical support. Many clients don’t realize they even have a call center until you begin speaking about the company and how they do business, then you recognize they have a call center but they don’t see it that way. A call center is no longer a large room of agents making outbound or taking inbound calls. It’s the way most companies support their customers and they can get a lot of insight from the reporting systems available with the product. CRM integration is another application that companies can take advantage of; we can integrate voice systems with many CRM systems like Salesforce, Sugar, and Microsoft Dynamics. This provides screen pop functionality and can save a lot of time looking up the client’s information when they call into a company. The agent knows who is calling and can provide a more personal level of service. Presence and Mobility are two more applications people don’t take advantage of enough. We can have your telephony solution integrated with your instant messaging solution. You can see if someone is on the phone or if someone is in a meeting, this saves time because you’re not trying to contact someone who is on a call, busy or in a meeting. There are many people who talk about mobility but only about twenty percent of our end users actually use mobility. Mobility is a road warrior application for the busy executive, sales or service employee. They can actually use an application on their smartphone that ties them right in with their phone system. They can dial an extension to talk to anyone in the office or they can get calls transferred right to their cell phone, right over our UC One application. Overall I would say call center is the most overlooked and beneficial application to help a business understand patterns and behaviors of their clients. CEOCFO: What is the growth strategy for the next year or two? Mr. Lennon: Our growth strategy is to grow our user base, our channel partners and to maintain our existing small and mid-sized base of customers. We have been targeting larger multi-site organizations. We have had a lot success working in with large and small retail organizations and nonprofits. We work with a lot of retail and nonprofit organizations. These are the organizations that have limited IT resources and many locations, so they cannot be everywhere at every time. They outsource their voice services to us so we can manage that process for them and any ongoing support that goes with it. CEOCFO: What surprised you as the business has grown and developed? Mr. Lennon: That is an interesting question. I guess the way that the market has really embraced voice over IP. One of the many things that Steve Jobs did for consumers was educating them. Not only was he an amazing innovator, but he educated people. They didn’t realize they were being educated, but he educated people on things like the cloud. Prior to Apple’s iCloud application, when we spoke to clients they didn’t understand the cloud and because of that unknown they were hesitant about hosted service. Prior to iCloud maybe two out of every ten clients were looking at cloud as an option. After iCloud became a large consumer based product for the millions of iPhone users they began to understand the cloud. They may not have technically understood, but it educated the market on what the cloud was. There was always kind of this grey area, “what is the cloud, how does it work,” and there was some skepticism to go to the cloud. However, I was surprised with the rapid adoption of the cloud, post iCloud, now you have nine out of ten clients looking at cloud as a viable option for their business, because they trust it. CEOCFO: Why should people choose Votacall? Mr. Lennon: Clients are going to choose Votacall because you are going to get the right solution for your business and great customer experience here. Our entire organization is aligned as One Team. Our goal at the end of the day is for our client to get an experience with us that they will not be able to get with any other provider in the country. We provide the most value for the dollar. We see our self as the most viable option for a managed voice solution in the market today.